Yesterday, Morrissey released a new single titled, “Jacky’s Only Happy When She’s Up on the Stage.” The title may be long-winded, but the song cuts straight to the point. The verses have a hard edge with distorted guitar riffs that depend on the whammy bar, while the chorus is a bit lighter with whimsical touches of violin. The lyric video features a photo of a young woman fearlessly, and joyfully, exposing herself at a protest. The lyrics detail a similarly fearless woman named Jacky, whose life is falling apart, but who finds joy on the stage. Many have equated the song as a an allegory for Brexit. Considering Morrissey, former lead singer of the band The Smiths, is from Britain, the guess isn’t so far off. 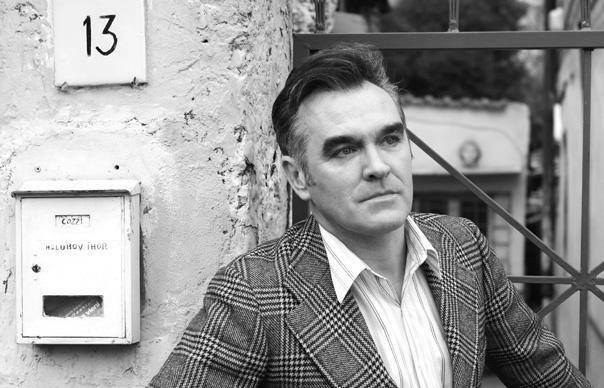 Since September, Morrissey has released one single per month. First it was the cheeky song, “Spent the Day in Bed,” and last month it was the melancholic song, “I Wish You Lonely.” On November 17th, Morrissey is set to release the rest of the album, which will be called, Low in High School. It will be his eleventh solo studio album, and follows Years of Refusal.